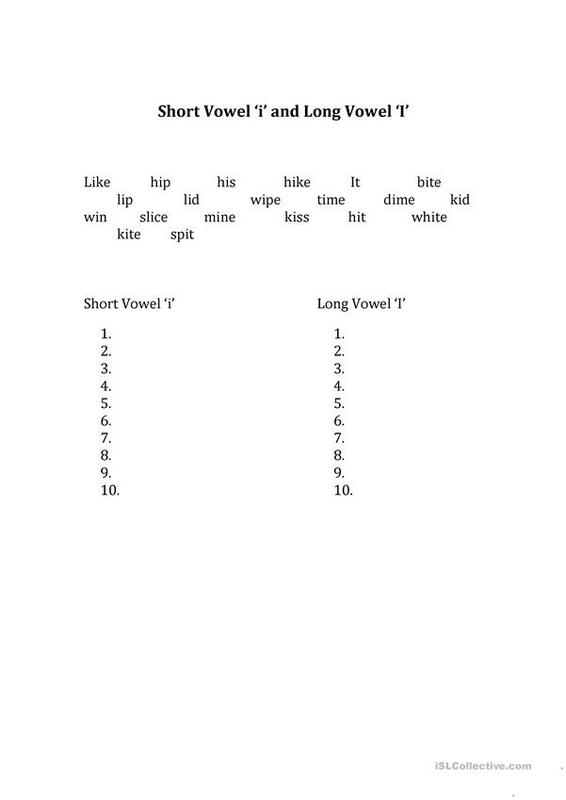 choose the words that go into each category, short vowel and long vowel. This downloadable printable is meant for elementary school students at Elementary (A1) level. It is valuable for teaching Consonants and vowels in English, and is a valuable material for developing your students' Speaking skills. It centers around the topic and words of Ability. swanface is from/lives in United States and has been a member of iSLCollective since 2012-09-26 13:11:50. swanface last logged in on 2013-08-01 15:00:24, and has shared 1 resources on iSLCollective so far.